We recommend you paint your home exterior every five to seven years. 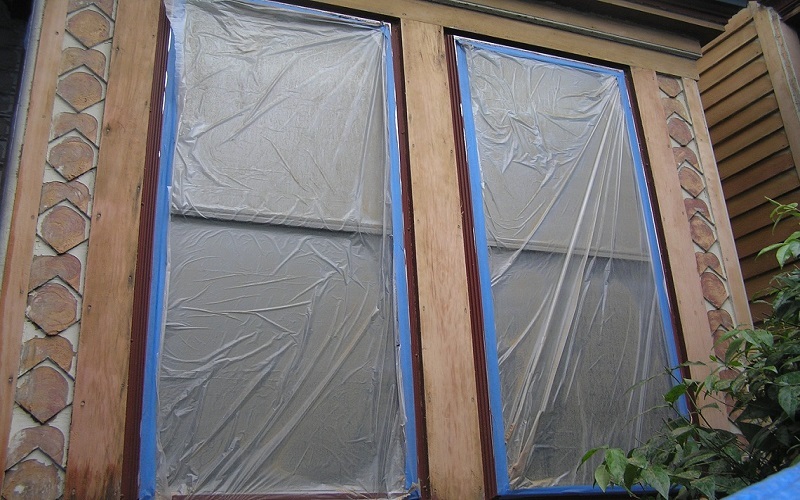 The wear from the sun and rain exposure and ultimately will take it toll on your home. The most obvious sign is when you can brush your hand along the siding or trim and you have a chalk residue in you hand. At that point, the house is unprotected. Flooring is probably one of the easiest and most inexpensive home improvements of them all. The flooring in your home takes a pounding day after day and we don’t realize how bad it can become. In the kitchen, living spaces, bathroom all of the different flooring in your home plays a major role in the look, feel and functionality. There are so many options to choose from such as Solid Hardwood, Engineered Hardwood, Laminate, Ceramic tile, Porcelain tile, Stone Tile, Sheet Vinyl , Vinyl Tiles or the old standby Carpeting. Selecting the right flooring is an important decision. Things to consider are, If you’re not moving anytime soon then you should select the flooring that suits your needs and taste. Its wise to consider a flow of the same flooring throughout the level adds to the homes value and can make the house appear larger. Installing new flooring can add perceived value to your home, possibly encourage some higher offers, and sell faster. Gikas painting will help you bring your home to it full beauty and value. At Gikas painting, we take our work very seriously. We enjoy every minute of your project from the initial consultation to the final piece of trim. Please take this opportunity to viewpictures of work page. You will see all of the fine detail we put into our work. 5% Cash Back on Any Project Booked in July or August! Quality Workship. Attention to Details. All at a Reasonable Cost! Gikas Painting has been lovingly restoring homes in New Jersey for over 34 years. We offer our clients the quality workmanship and attention to details that showcases our commitment to a job well done. Whether it is exterior or interior painting, roofing, carpentry, gutters, additions, or any other home improvement need, Gikas Painting is ready to help restore your home to new heights with the personal touch for which we are known. We have hundreds of references attesting to the quality of our work. This is the hallmark of any business success, and we would like to add you among our satisfied customers. As a special promotion from July 1, 2016 – August 31, 2016, we are offering 5% Cash Back, in the form of a VISA Gift Card, for any project booked during this time. Call us for a Free Estimate. Find out why our customers return to us again and again – for quality workmanship at reasonable prices. At Gikas painting We have been painting and restoring older homes in Montclair and surrounding towns since the early 1980’s. At Gikas painting, we are a professional Exterior/interior painting contractor, paying attention to detail is a part of the job and we understand that it is our responsibility to provide a quality interior painting job to you, the homeowner. Our professional paint crew will have the right tools for the job and the tricks of the trade and the techniques to get high quality results. At Gikas painting we offer some of the most desired paintingservices in the industry. 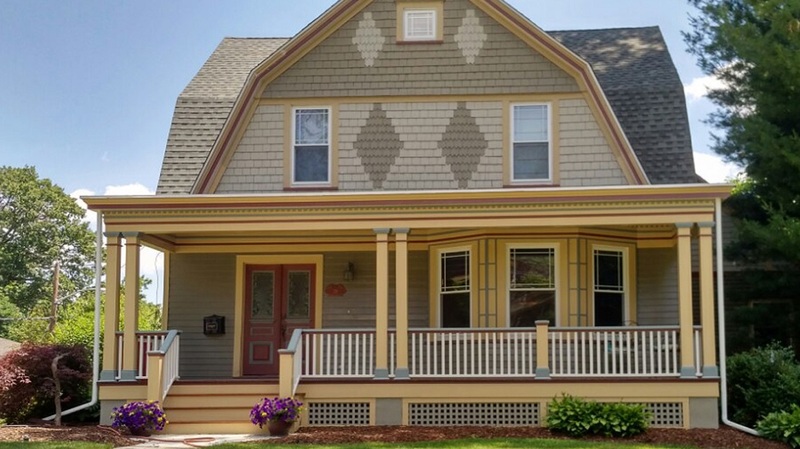 We have been painting and restoring older homes in Montclair and surrounding towns since the early 1980’s. Our work philosophy known by our costumers as GIKAS WIZARD is creatively carried from project to project enhancing your home with texture, colors and details in order to comprehensively restore its charming properties Absolute and uncompromised attention is given to the preparation of your home for painting as we will not stand the embarrassment to see your chromo symphony fall apart after a short period of time therefore our work comes with a standard warranty. The paint may be peeling, the color fading, or it just could be time to freshen the look of your home?s exterior. Painting the entire Exterior of a house is an inexpensive way to dramatically change the look and feel of your home with color. Doing it right requires serious planning, and Gikas painting is able to provide absolute and uncompromised attention to the preparation of your home for painting. Gikas painting is an experienced and professional Exterior painting contractor. At Gikas painting, we are a professional Exterior painting contractor, paying attention to detail is a part of the job and we understand that it is our responsibility to provide a quality interior painting job to you, the homeowner. Our professional paint crew will have the right tools for the job and the tricks of the trade and the techniques to get high quality results. Our work philosophy known by our costumers as GIKAS WIZARD is creatively carried from project to project enhancing your home with texture, colors and details in order to comprehensively restore its charming properties. Absolute and compromised attention is given to the preparation of your home for painting as we will not stand the embarrassment to see your chromo-symphony fall apart after a short period of time therefore our work comes with a standard warranty. we offer some of the most desired services in the industry. Gikas painting will help you bring your home to it full beauty and value. Services we provide: Interior victorian home painting, exterior victorian home painting, Victorian home restoration, contractor Services, Home restoration, Victorian Renovation, Painting Victorian home, Victorian carpentry, Victorian painting, Victorian interior repair, exterior painting, victorian roofing, home siding, aluminum siding removal, Victorian Decks, Victorian gutter repair, Victorian architectural trim work, Victorian wood floors.